What would happen if you were injured and lost the ability to provide for yourself and your loved ones? In the unfortunate event it does happen, how do you expect to pay for your bills? Turning to social security disability would be the first step to solving your sudden financial crisis, however, you are likely to have your application denied. 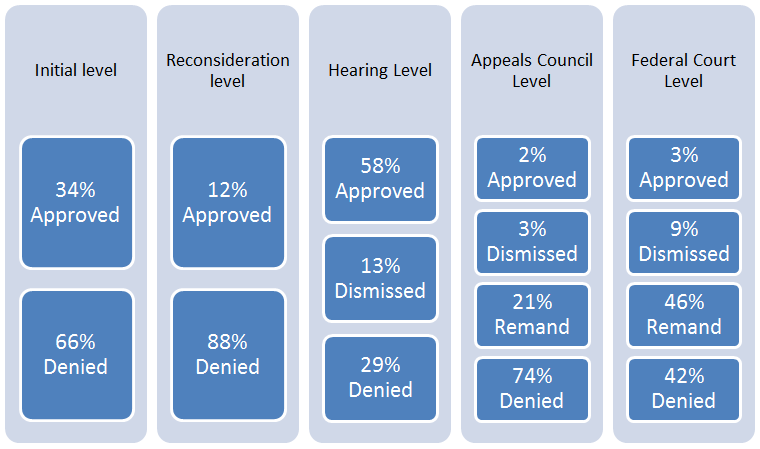 The harsh reality is only 34% of initial applications are approved for SSDI. If you manage to get your application approved, you will have to wait six months or up to a year to get your first check. Would you have a safety net in place to pay your bills or handle your everyday needs for a month without income? What about a year? Having a private disability insurance plan in place can save you from financial stress. Unlike SSDI, you don’t need to be totally disabled in order to collect, and additionally, a private DI plan is easier to qualify for. With a DI plan that has “own occupation” coverage, you are still able to do work outside of your job. If you happen to qualify for SSDI while having a private DI plan, you are able to collect from both, however, there are some private DI plans that will deduct your SSDI benefits from your private benefits. For more information on private disability insurance, please visit acfinancialgroup.net/disability-insurance/ or contact us to set up a no cost consultation.